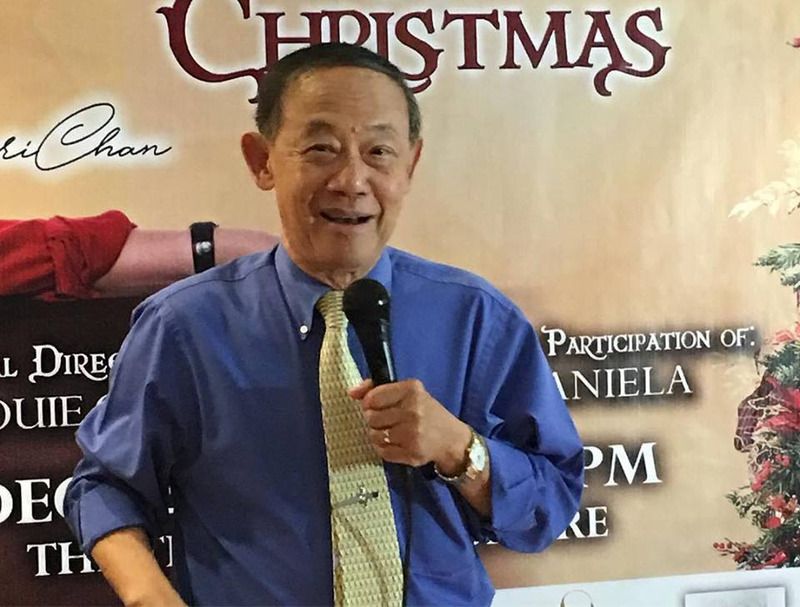 JOSE MARI CHAN’s “Christmas in Our Hearts” has become a solid perennial Christmas song. When you start hearing, you know Christmas is fast approaching. Did he have an inkling when he wrote it that it will be such a blockbuster hit? 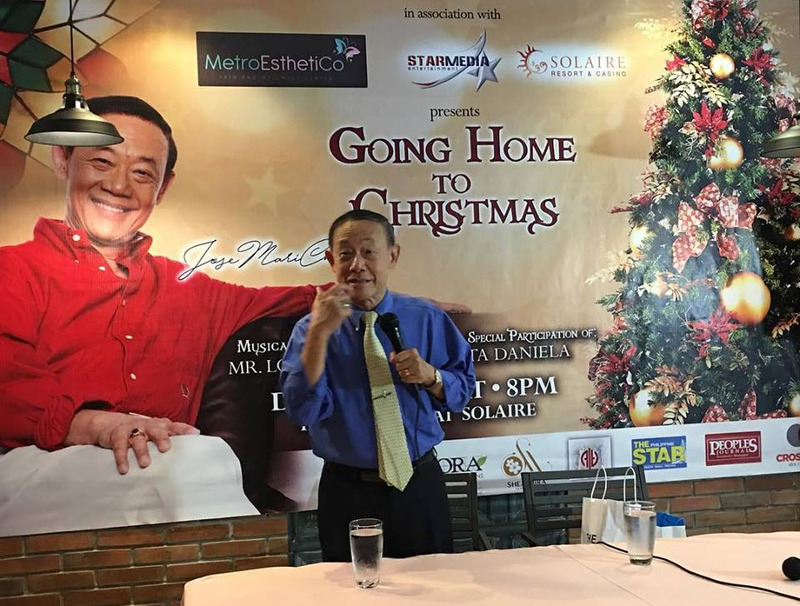 Jomari now has a Christmas concert, “Going Home to Christmas”, which is also the title of his new Christmas album that has 22 Christmas songs like “The Bells at Christmas”, “Ring in the New”, “Let Love Be the Gift”, “Song of the Firefly”, “With The Eyes of a Child”, and many more. He will sing them in the concert along with the other hits he wrote through the years. The concert will be held at Solaire Theatre on December 22, Saturday, 8 PM, with Louie Ocampo as musical director and Rita Daniela of “My Special Tatay” as his special guest. During the presscon, he sang “Christmas in Our Hearts” and “Please Be Careful with My Heart” with Rita, impromptu, and they have a great blending. 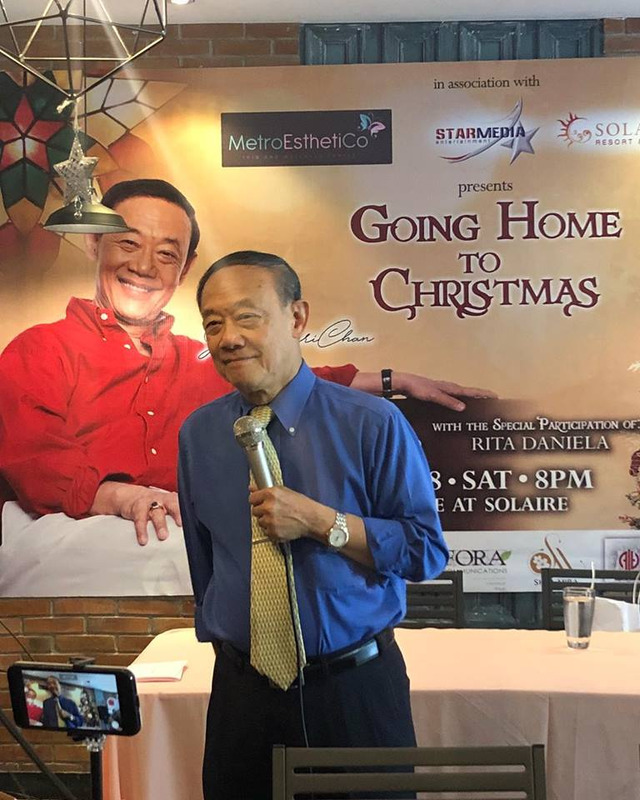 The concert is produced by Dr. Rhoda Espino of Metro Esthetico Skin & Wellness Center, Star Media of Anna Puno and Solaire Resort, sponsored by People’s Journal, Shea Mira Corp., Pink Cookie Project, and others. Tickets are now available at Ticketworld, 891-9999 and online at ticketworld.com.ph.